I have to admit, after two full days of ports of call I was looking forward to a relaxing day at sea. 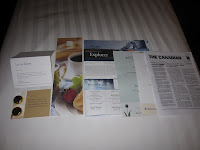 I was excited to explore the ship and sample some of the on-board amenities. Number one on my agenda was playing bingo with DJ Renee in the Showroom at Sea! But first I'd start with a scrumptious breakfast on the Lido Deck. I had a great day planned, but found out I'd have to go it alone because mom would need to be in meetings all day with her travel group. No worries, I can do this. First we headed for breakfast together. 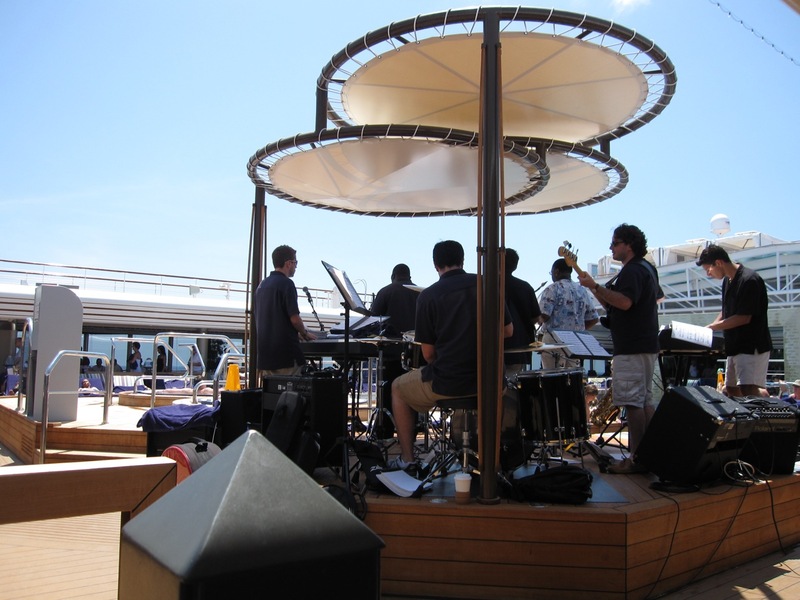 The Lido Deck is great for this because there's a huge selection of all the best breakfast fare. And you can eat anytime during the morning and don't need to wait to be seated. And the windows along the interior area overlook the sea which it's always fun to sit and watch the view while you eat breakfast. This morning we could see the coast of Cuba where my sister was vacationing at the same time. We waved a quiet 'hello' to her over breakfast. At 10:00am it was time for the meeting to start, so I began my ship adventure. I hit the Showroom at Sea room early to get my bingo card. It seems every day that more people show up for the bingo than the day before. It gets pretty popular as the week goes on. But, I didn't win. Oh well, it's always fun. When you get down to one number you have to stand up. Every time someone stands up they play "hallelujah" and people boo at you! :). It's all good fun though. My next adventure involved checking out the shopping seminar with our on-board shopping ambassadors Nicole and Todd. This. Was. Fun. 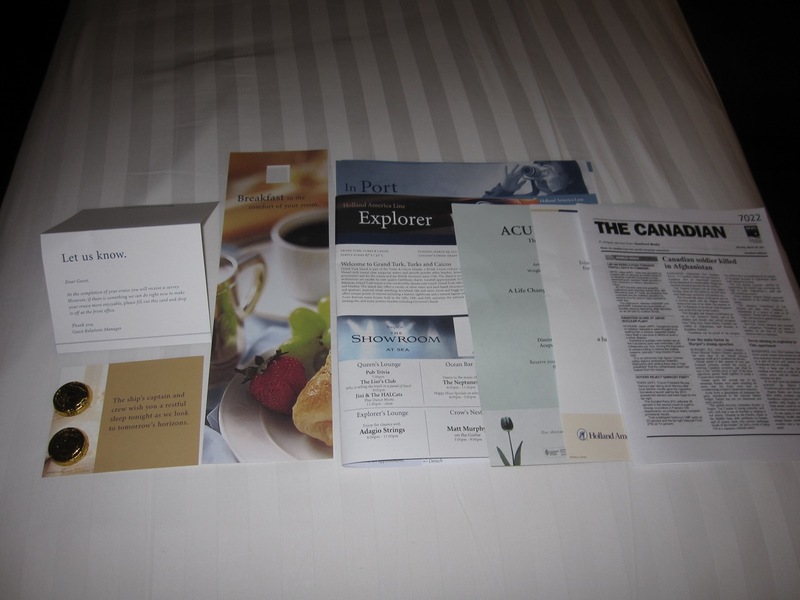 Upon arriving everyone received bags filled with pamphlets of the different shops we'd be seeing in our next port of call, Grand Cayman. There were also giveaways of gems and jewelry! I love shiny things and this was right up my alley. We talked about watches (mmm), diamonds, jewelry pieces, different types of gemstones, what to look for, where to get the best deals. It was very informative. I learned the Caribbean is the best place to shop because it's all tax-free and watches are slightly cheaper then MSRP at home. I love watches! When I left there, I was a walking encyclopedia of shopping knowledge! And itching to spend! Next I decided to grab my Sony Reader and head to the Lido deck for some light reading by the pool. Traveling solo is unique because you're forced to really think about what you want to do. And normally you do things and see things you wouldn't normally make time for when sharing your time with another person or group. I settled in at a table at the back of the deck in the shade with a nice view of the pool. I was going to read but I spent more time people watching. Seeing who people were with, what they were doing and trying to imagine what their story was. Why they were here and who they were with and what their life must be like off the ship. Because ours was the last Caribbean tour before our ship repositioned for Europe, there was a huge sale on the Lido deck. Purses, scarves, costume jewelry all at crazy low prices. I briefly tempted the idea to dig in and join the frenzy, but the tables were *insane* with bargain shoppers. It looked like a ferret free for all as I saw the back of heads bobbing up and down between the scarfs and handbags flying around. I decided I'd head over to the meeting room early to meet mom for her lunch break instead. To my excitement she was given the afternoon off so we'd have the afternoon free to roam. Yay! The best thing about being on a cruise is the freedom to take a quick cat nap - whenever you want! Sure, you can do that at an all-inclusive resort too but a cruise ship is more like a high class hotel on water, with tons of activities and amenities, and the opportunity to see more of the world with multiple ports of call. An all-inclusive doesn't offer that, so therefore cruising wins! At least for me! We decided to take advantage of our hotel on water, and catch a quick nap before our private invitation-only cocktail reception in the Crow's Nest with our ship's captain. Very exciting! 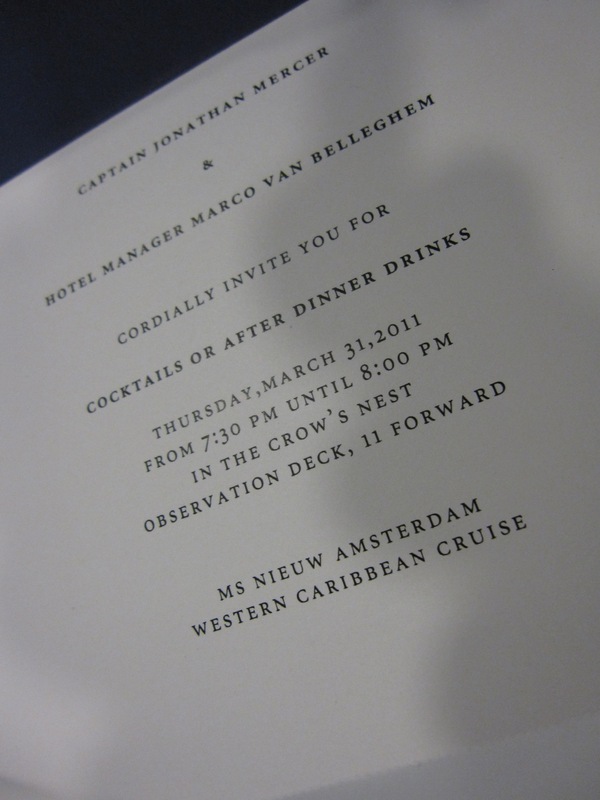 The Crow's Nest on the Nieuw Amsterdam is pretty awesome! Our cocktail reception included open bar with exquisite hors d'oeuvres and a magnificent wide angle view of the water around us from the front of the ship. Matching these long line of windows and glorious view are the most comfortable chairs on the ship. And they recline! This was one of my favourite spots! This is absolutely something to check out! All in all, I really enjoyed our day at sea and it was a nice break from our active ports-of-call schedule. But I'm the type of vacationer who likes to keep busy so I was really looking forward to our next stop in the morning: Grand Cayman. Ooo, and all that jewelry! I love bingo! Whenver i go on a cruise I play bingo every opportunity. 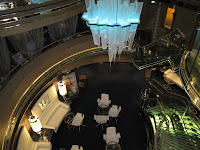 I've been on several cruises - Thomson, Ocean Village, NCL, Cunard. I fancy Holland America as I perceive it to be 'posh'. I really loved cruising Cunard's QE2 but the QE2 has been put to rest. 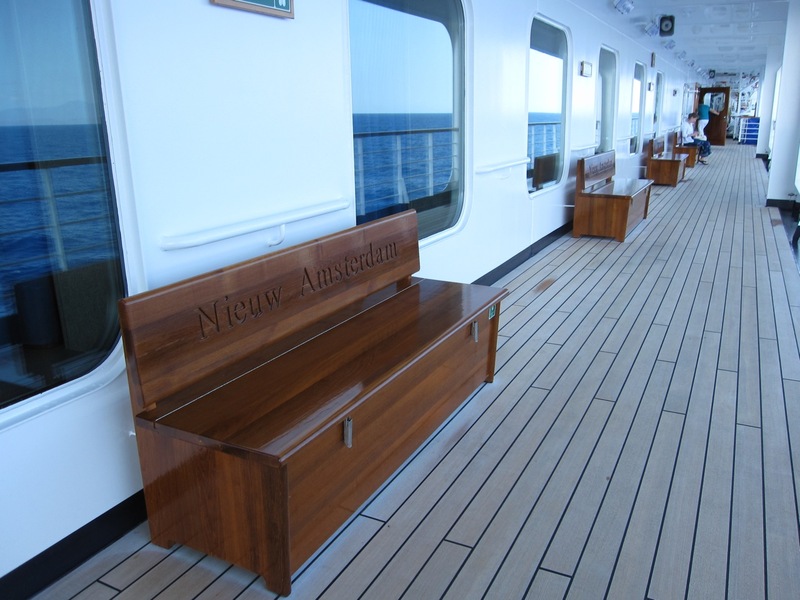 I'm enjoying your posts about the ship as I have my eye on the Nieuw Amsterdam. I'm doing lots of research. Any idea if those cabanas on the ship are worth £75 a day? All the best, Kelli. 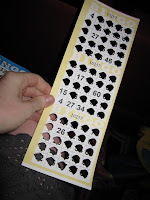 The bingo is so much fun! I really wish I coulda won the free cruise...well, actually the money would've been great too - hah! 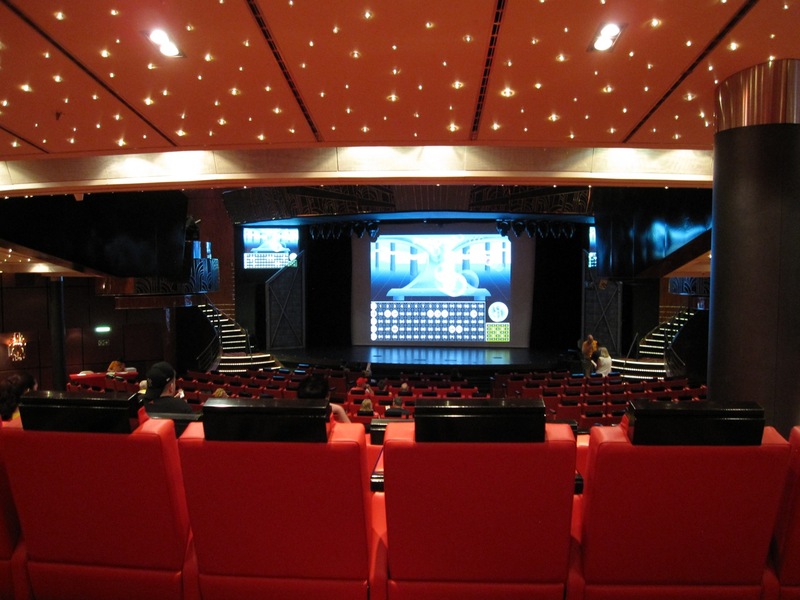 Have you been on a HAL cruise before? I really liked that it didn't feel crowded. It didn't feel chaotic or rushed which was nice. 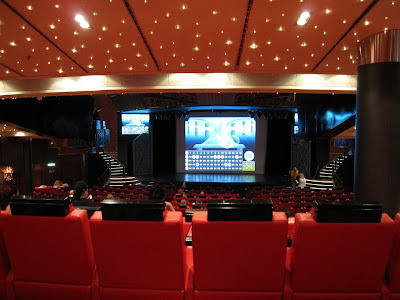 I thought about doing an NCL cruise - what do you think of them? Which ship did you sail on? 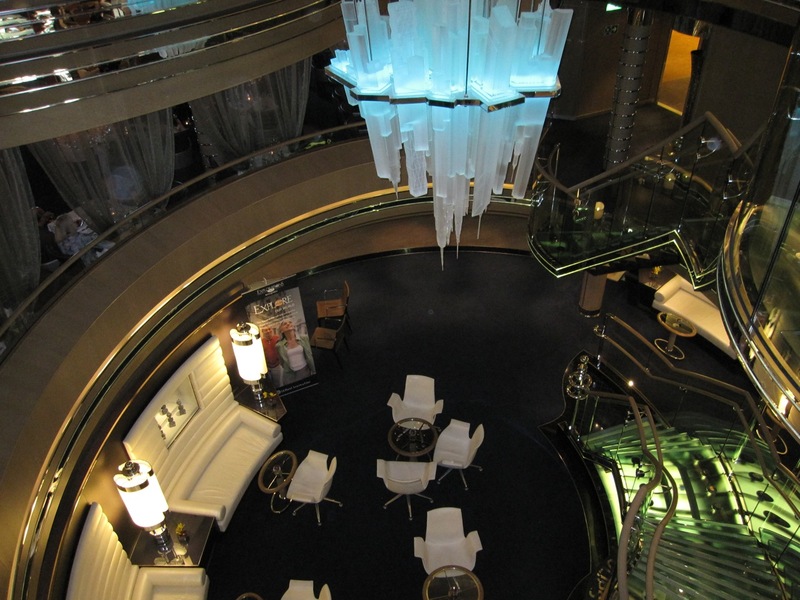 Cunard seems very posh as well. 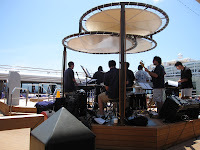 As for the cabanas on the ship, if you'd spend any amount of time by the pool or laying out on the deck I'd recommend them. I believe they have their own server assigned to them as well, and you can eat breakfast in your Cabana which I thought was really neat. Before anyone came, we checked them out and they were decked out with robes and set tables...it was nice. I'm a busy body though so it would've been a waste for me. But also if your tour has a few days at sea, those would especially be nice! Hi Leanne, sorry I can't actually remember which NCL ship it was. I'd have to have a look through my travel files. I've enjoyed all the cruise lines I've been on. NCL was laid back and although i'm not a big fan of 'freestyle' (as I like to dress up etc) I had done the research so no surprises & enjoyed it. My favourite has been the QE2 to Norway. It was a small ship, very British. 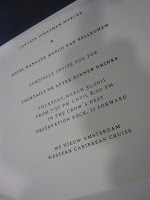 I was one of the youngest on the ship (which I liked). The British sleep in so I had the hot tub cruising up the fyords at 6am all to myself - it was amazing! I loved cruising Norway so much I did a Norway cruise again but with Thomson (QE2 had been put to rest or I would have booked it again). (I believe Norway cruising is even better than Alaska - hope I don't offend any Americans!). I've never been on HAL before but it is on my list next. I wouldn't mind trying Celebrity and Princess at some stage as well. All the best, Kelli. Ooo, your Norway cruise sounds amazing! That is tops next on my list. I've been looking at HAL tours that sail there. I think it would be really beautiful to see! I've heard great things about Celebrity and Princess too, although I haven't yet tried them myself.